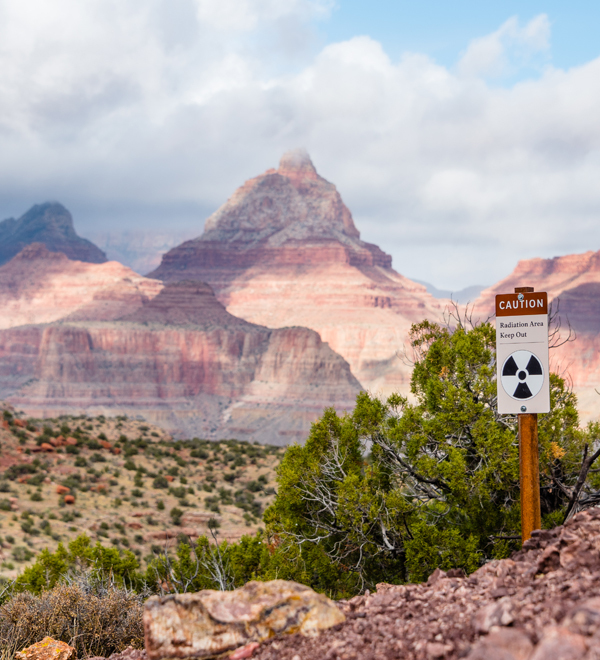 A rugged connector trail that can be linked up with New Hance and Grandview trails for a 3-day Grand Canyon backpacking trip. The information below describes the 8-mile section of the Tonto Trail bookended with New Hance and Grandview trails. On the banks of the Colorado River near Hance Rapid, several footpaths lead downstream. Choose one and walk along the beach for about a quarter of a mile before starting the climb up the red Supergroup slopes. The route up and through the Hakatai shale is rough and rocky. Keep an eye out for cairns. In another mile, the trail turns south and works its way back into Mineral Canyon. Cross the dry creekbed, and continue up the other side through the Tapeats Sandstone. When you reach the Tonto bench around 3 miles, the trail flattens out and contours around the rock promintory called Ayer Point. Though weaving in and out of small gully is a bit tedious, relatively easy walking continues as you traverse into and out of Hance Creek. Around 7 miles, the Tonto Trail splits. 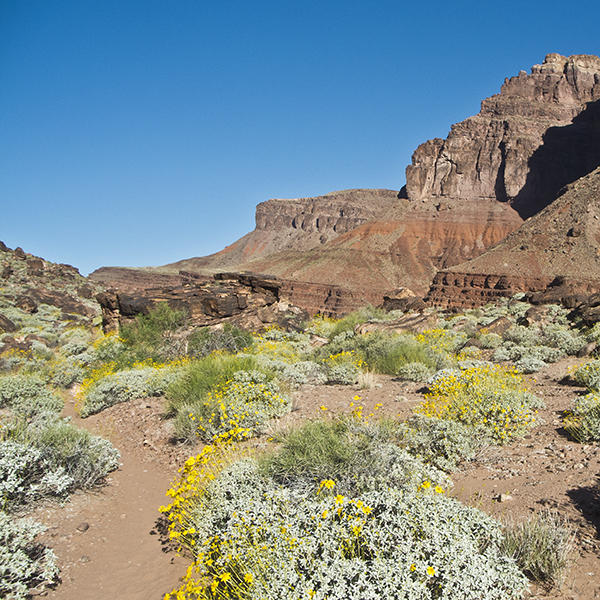 If hiking out via the Grandview Trail, stay left and begin the steep climb up to Horseshoe Mesa. The other branch of the Tonto Trail continues west contouring around the bottom of the mesa. As you ascend the Redwall Limestone, the trail is steep, exposed, and rough. Mining relics sit along the side of the trail, hinting at the Last Chance Copper Mine on Horseshoe Mesa that operated in the late 1800s. Be sure to take the short detour (signed) to the delightful Page Spring (formerly called Miner’s Spring). Ferns line the back of this lush alcove, and water drips into a small pool. Towards the top, the trail crosses an interesting quartz vein. Just past this, you crest the top of Horseshoe Mesa and intersect the Grandview Trail at 8 miles. Since this section of the Tonto Trail starts 5,000 feet below the rim, driving to the trailhead is not an option. You must get there by foot. See the New Hance and Grandview trails for more information.